It is wrong to force your decision on others, even if you think doing so would be good for them. As long as they extend the same freedom to others, people should be left to choose their own mate, pursue their own career, buy and sell what they want, etc. They should be left to think and act for themselves without someone else forcing them. But, then, how are we to think about the following? Taking the car keys from someone who has been drinking alcohol. Saving a stranger from being hit by an unseen car. Making medical decisions for a deliriously sick relative. These all involve forcing your decision on someone. To understand these we must first realize it is not true that we can benefit only when we think and act for ourselves. Some medicines are better for me than others even if I am too delirious to judge. It is better for me if someone pushes me from the car I don’t see. Nothing is of value to me if I am not committed to living, but that does not by itself imply that there cannot be cases where I’m better off if someone else does the thinking and forces me to do something. The second thing to realize is that such cases are not only those where a person is temporarily cognitively incapacitated. We often put deliberate efforts into getting others to do the thinking for us, consider our interests, and force us to accept their decisions. In a real estate transaction, I may authorize someone to exercise power of attorney. This person has the legal authority to forcefully commit me to some action. This person does not simply make a recommendation, leaving me the final decision. He is fully authorized to judge a situation, decide what is in my best interest, and commit me to, say, surrender some property or pay back a loan—even if I would have made a different decision. The authorization may be contained within some other action. Getting married is an example. One spouse has the ability to force countless constraints on the other. One can spend the other’s money, run up credit card debt, make medical decisions for the other, or sign customs forms. A spouse getting divorced can be shocked to find what commitments have been made on his or her behalf. 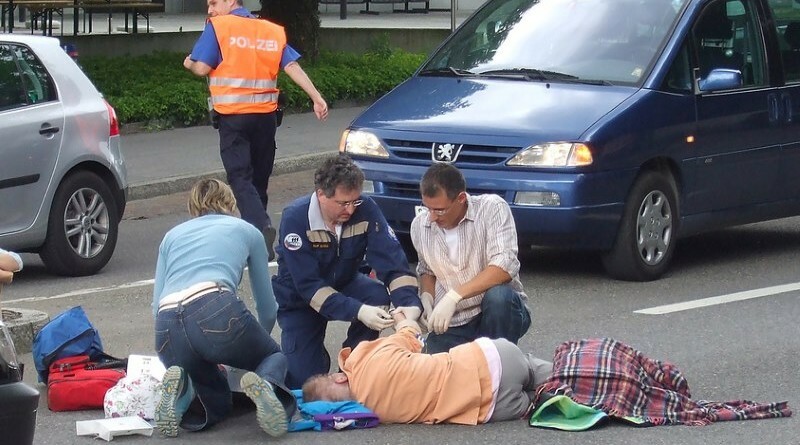 Just by being on a public roadway, you may authorize emergency surgery if you are knocked unconscious. Because of statute or custom, someone could, just by being at a certain place at a certain time, authorize another to act forcefully. By walking down the street, I have implicitly consented to being forced out of the way of a runaway car, not just to be alerted and asked to reconsider my steps, but to be pushed in an act that would otherwise be battery. Once a person has reached maturity, he is responsible for knowing these implicit authorizations and explicitly overriding them if he wants to. If I don’t want to be resuscitated, I need to make that wish known. About to engage in a dangerous activity, I may need to tell others that I know the risks and want not to be stopped. What is best for a person can be quite specific to that person and the situation. Knowing whether to hide medications my grandmother thinks will help her depends on knowing her condition, her competence to judge, and her goals. We rightly allow more interventions by family members than by strangers. We delegate power of attorney to those we believe understand our interests and are competent to judge what is best for us. If a man were to delegate all his powers he would become one of those sad cases where a person no longer functions as a human being; is bathed, clothed, moved and fed by a caregiver; and is capable of only animal pleasures. But partial delegation can be good. Decisions made on my behalf can be good for me even if they are not the decisions I myself would have made, even if they run counter to decisions I myself have made. So: It is wrong to force your decision on someone else, even if you think doing so would be good for him or her—unless you have been authorized by that person to do so, are competent to judge what is in his or her best interest, and have responsibly so judged. What forceful actions does this principle allow the government? Only those that a total stranger would have, such as rescuing someone from a runaway car or from a similarly clear and present danger. A stranger does not acquire more rights by ganging up with other strangers. An 80% majority is not authorization to force the other 20%. Even if you would like the government to force itself on you, that does not authorize it to force itself on someone else. Neither one stranger nor many working together as a government has or have the right to force you just because he or they think doing so would be good for you. As the agent tasked with protecting citizens from the initiation of force, the government does have responsibility for codifying the conditions under which citizens may authorize others. What puts a power of attorney in effect? What actions may a doctor take in an emergency? When may a family member be presumed to accept forceful intervention? How does someone explicitly rescind presumed consent? A proper government codifies these. What about children? They need someone to do their thinking for them, all of it at first, less and less as they mature. Parents have the right to do that for their children, unless or until they fail in that responsibility. The government, chartered with protecting children’s rights as much as anyone else’s, should codify how and when someone becomes a child’s guardian and how and when the child becomes his own. When is it moral to take a friend’s car keys? So back to that first situation above: When is it proper to take the car keys from someone who has been drinking? If he presents a clear and present danger to others, take the keys. Or, better—since objectively determining danger is difficult—let the police or bartender decide. But what about when the person presents no danger to anyone but himself? Is it proper to forcefully take his car keys? The answer depends on the same three factors that are always involved in cases where it might be proper to force your decisions on someone else. (1) Has the person authorized you? For example: Are you his legal guardian? Are you the evening’s designated driver? (2) Are you qualified to make the decision? Here, have you seen the person act cognitively impaired, or did you simply see him with an empty glass? (3) Are you justifiably confident that your decision will be in the person’s best interest? Here it makes a difference whether the person is an habitual drunk or a rare drinker temporarily despondent. Do you know the person well enough to know whether he’ll thank you in the morning? Would he be better left to suffer the consequences of a bad habit? Homer writes that when Odysseus was approaching the island of the Sirens he announced he would not be plugging his ears, as all good captains knew they must lest they be seduced by the beautiful singing. Instead he would have the crew tie him to the mast. They were to plug their ears and sail on past, even if he was screaming at them to do otherwise. Of course, when he heard the song, he issued a new command and insisted they disregard his earlier one. They chose not to and tied him even tighter. Once past the island, Odysseus was glad they had. They were authorized and qualified to take forceful action against Odysseus’s command. And doing so was in fact in his best interest. His crew did the right thing. The Magic Keys to the Intervention Kingdom are often claimed to be ‘network externalities.’ In a nation of 330 million, we are each of us an ‘externality’ to each other. That simple fact of mutual existence of peers living in freedom cannot be the license for eating individual freedom and tearing down the barriers between public and private, and using the fact of each other’s mere existence as our license to project paternalistic state force. Show us the warrant; the warrant needs to be based on an initial act of forced association, or else it comes across as paternalistic megalomania or worse, tyranny. If the warrant is based on some elitist’s dream of perfection or best or what oughta be, then save it. The hurdle should be analogous to the Paradox of Violence(the license under which the state reacts to the use of violence with violence.) The hurdle for forced association should be “to inhibit forced association. :” The example of a drunk getting behind the wheel of an object capable of deploying a million ft-lbfs of destructive energy and drunkenly deploying it is clearly a case of forced association, and the balance of freedom loving folks have an ethical basis to intercede. If you can identify the original act of forced association, then I can find the justification for a forceful intervention. (Implementing one’s fave pet grad school Soc. theory would not be an example of that.) Clear air and water laws are an example of response to forced association. (When the results of a third party’s act of commerce is forced association by way of fouled air or water, there is an ethical basis to interceed with force– to thwart an instance of forced association.) In freedom, we have a peer based responsibilty to -navigate- the commons to our destinations, not to rush headlong towards them without regard to to the trajectories of others on the commons. We see that principle of peer based freedom on the Interstates all the time, where large vehicles and small vehicles share the commons and get to their destinations … without being told what or when or why to drive to those destinations. The hurdle for paternalistic megalomania should be very high, not very low; pointing to drunks with cars keys does not justify Obamacare. I see a lot of personal attacks in your comment, but not much substantive argument. I’d take a “lightweight” but logically argued essay over one that is not much more than hurled insults and chips on shoulders, any day of the week. The only part of your comment that appears to be something other than personal attacks is that you argue that the moral basis for using force on someone is to stop them from doing something “illegal.” But there’s a problem the size of a redwood if you are accepting a definition of illegal set subjectively by a subjective government to tell you what it deems legal or illegal, and using force to make sure you abide by it’s subjective decrees. Dr. McCaskey, thank you for writing that article! Regarding hypothetical scenarios, such as taking that drunk person’s keys, may I ask you about another such hypothetical scenario? Suppose I had a spouse, and this spouse said, “Promise that you will always be there to protect me.” This spouse, though legally sane, engages in self-destructive, mentally ill behavior, such as routinely cutting the wrists with a blade, engaging in self-starvation, and falsely (though informally) accusing coworkers and classmates of violent crimes. This isn’t because the spouse is terminally ill or anything like that; the spouse is young and mentally ill. Would I be violating that spouse’s moral rights if I tried to have a court determine that this spouse is contractually incompetent and in need of psychiatric attention? Too much depends on the quality of the legal system you live under and I know too little about even my own state’s mental infirmity laws for me to say. I don’t know, for example, what “contractually incompetent” means. To what I said in the essay, let me just add: When you get married you give to your spouse authorities that otherwise rest in your next of kin. And that’s a benefit of getting married—you get to choose your spouse, you don’t get to choose your family. By marrying you grant authority to someone you have decided shares or at least understands what is most important to you. Marrying puts you on record as saying who you think is most qualified to act in your best interest when you cannot. You are using force in two different aspects and assuming they are the same. Physical force and political force (political being when governments or individuals initiate or use retaliatory force) are two different things. Giving a power of attorney to make a decision doesn’t mean that the agent used force to do something you would not have done in retrospect. You gave him the political authority to do what he did and so force was not used (you could say he used physical force to do what he did, but not political force, he did not violate your rights, he did not initiate force against you.) This also applies to irrational people and children. A child who you physically prevent from doing something that that child doesn’t have the mental maturity to understand is not instituting political force against him, even though you used physical force to do it. With an irrational person who you restrain to protect him no political force is used (this is very complex, as in the example of the drunk, how drunk, how many drinks incapacitate your mind, how much danger, etc. – all to be codified by an objective law system). Wider is that physical force is used to do almost, if not, everything. Without keeping physical and political force in mind at all times the mistake you are making, and still are making, has to occur. YOU NEED TO MAKE SURE YOUR AUDIENCE UNDERSTANDS that his rights were not violated (rights only being implicit at the time of this example) by the physical force used, i.e., no political force was used. If not your audience assumes that you are implying that it is ok to violate rights when they think the value protected is greater then what the person thinks the value is worth. This then leads down the slippery slope to socialism as you have then made all values subjective. Hello Peter. Thanks for your comment and interest in the topic. I’ll guess that you are thinking of initiated force and didn’t really mean to include retaliatory force. But then we don’t need the new concept “political force.” “Initiated force” will do just fine. If you’ll go along with that change, then yes you are right: I frequently say “physical force” or “force” when what I say actually applies only to initiated or to uninitiated force. But I think this ambiguity is a feature and not a failure. I want readers to consider cases of someone being forced against his or her will at the time and consider whether the acts are initiations of force or not. My claim is that many such cases are actually proper, because the apparent victim has authorized the force. For example, several Objectivists have claimed that it can never be right to take a drunk’s car keys as long as there is no danger he’d harm anyone but himself. I say that is wrong and that it’s easier to see the error once we realize how pervasively we authorize others to force us to accept their decisions. You say, “Giving a power of attorney to make a decision doesn’t mean that the agent used force to do something you would not have done in retrospect.” Of course it does not mean he did, but it does mean he is authorized to. That’s the whole point of granting power of attorney. You authorize someone to take action that you might disagree with. If he sells your farm and you refuse to vacate, the cops haul you away in handcuffs. You are forced to accept his decisions. You may be right that some of my “audience” will think I am condoning violations of rights. But I don’t think I’ve said anything that justifies their misunderstanding. My whole point is that some cases that might appear to be violations of rights are not — because the apparent victim has authorized the use of force. Taking a drunk friend’s car keys, hiding Grandma’s poisonous elixir, or buying something with a spouse’s credit card may all look like theft, like initiated applications of force, like violations of rights — but they may not be such, if they have been duly authorized and responsibly carried out. I agree completely, I’m not sure where the above poster thought a casual reader would be confused. 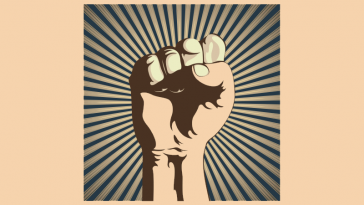 Links to this blog anyway are probably going to be checked mostly by young objectivists interested in political theory (I assume) and are fully informed about the initiation of the use of force. >Wider is that physical force is used to do almost, if not, everything. mistake you are making, and still are making, has to occur. I take issue with this statement. I’d argue most contracts and agreements are made by competent rational parties for the purpose of avoiding intrusions of force into their private business dealings. That’s why contracts are necessarily so lengthy and specific.